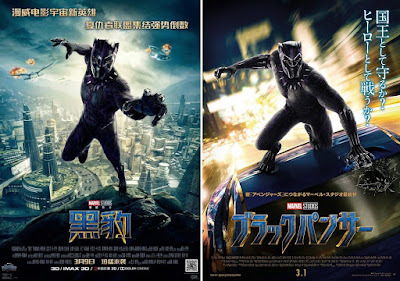 Check out these action packed international Black Panther theatrical one sheet movie posters! All you need is King T’Challa in that sick Vibranium suit ready to pounce to strike fear in the hearts of villains everywhere. I also think it’s super cool to see Black Panther written in different languages in Marvel’s super sleek black and blue font.